It was in the year 2002 that 21 experienced engineers, site managers and linemen founded the company Cteam Consulting & Anlagenbau GmbH. In its first year of operation, the ambitious team was able to attract such major clients as RWE, EnBW, Vodafone and T-Mobile, generating a turnover for the year of 8.5 million euros. In the following year, Cteam S.A. was established in Luxemburg, followed two years later by the relocation of Cteam Consulting & Anlagenbau GmbH to its own premises in Ummendorf. The year 2006 saw the opening of two project offices and a subsidiary in Leiferde. The company K2 Engineering GmbH was founded the same year, followed by HABAU-Cteam GmbH in Austria in 2010, Cteam Anlagentechnik GmbH in Germany in 2012 and Cteam Lignes Aériennes S.A.S. in France in 2014. Only seven years later, the company's turnover reached a level of 70 million euros, generated by approximately 300 employees. Thanks to the constant development of the group's process-oriented management and the steady expansion of its internal competences, the Cteam group can now count 500 employees, ten years after the company was first founded. Cteam Consulting & Anlagenbau GmbH currently operates six sites throughout Germany, while the Cteam group as a whole maintains twelve sites, with agencies in Luxemburg, France, Austria and Belgium. As a full-service supplier, we perform the full range of activities in the field of overhead line construction, including new line installations, reconstructions, and remediation work. We support our clients with pylons of all constructions, all conductor types and all manner of projects – from urgent fault clearing to extensive new line routings. From the design and construction of new masts to the reconstruction of existing masts and infrastructural work – we perform all mast-related activities for mobile telephone and communications technology. Our well-drilled team of engineers, structural experts and planners implement both client and official requirements precisely and punctually. Our engineers plan projects involving high-voltage overhead line routings and cable runs. They also develop mast series and pylon constructions as well as custom designs such as provisional structures based on superimposed loads. 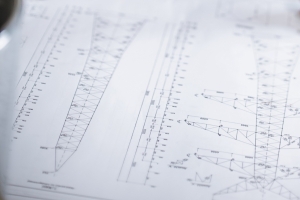 Our engineers advise our clients throughout the planning and construction process, and they supply feasibility studies and custom solutions on all aspects of overhead line construction. Large aluminium plates are used to ensure that access roads are sufficiently sturdy to support the heavy trucks and building machinery used in mast and line construction, whatever the terrain. These plates can be laid anywhere at short notice, both on construction sites and in public spaces, using a mobile unloading device. There are many important activities being performed behind the scenes, such as controlling, purchasing, bookkeeping, IT, organisation and human resources, all of which must be properly regulated to ensure perfect operations. 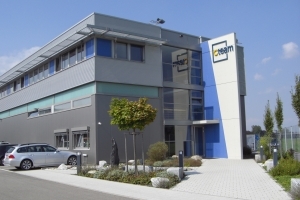 Since 2004, our main premises have been located in Ummendorf, about 40 kilometres south of Ulm; this is the head office of Cteam Consulting & Anlagenbau GmbH. The municipality has 4,500 residents and is located in the rural district of Biberach, on the main Upper Swabian Baroque Route. Ummendorf Palace (built in 1560) is well worth a visit; local leisure facilities also include a bathing lake, ski lift, and the Jordanbad spa and thermal baths. The distance to Lake Constance is 40 kilometres and the Allgäu and the Alps are not much further away. And by the way, the television series 'Lindenstrasse' is named after the 200-metre-long Lindenstrasse in Ummendorf! Many of our employees, particularly linemen, travel to many different destinations throughout the country to carry out work to order. We show our gratitude to this special commitment with clear regulations controlling working hours and payment, so that our linemen can go about their work at lofty heights without distraction. We also endeavour to place our employees at our subsidiary in Leiferde or in the project offices in Siegburg, Cottbus, Berlin and Leipzig, to keep the distance to clients as short as possible.